Come together as a group on a weekly or monthly basis to form your own workplace choir. In a series of two hour singing lessons you will be coached by an experienced choir leader and have the option to work towards a performance in central London. In the first lesson you will work on a prepared song. Thereafter the group will be able to choose from a catalogue of popular and classic songs to build and develop your own choral repertoire. You will be led by an expert choir master that will give you the opportunity to shape the content of your sessions to ensure that your group gets the most of this bonding and enjoyable experience. Individuals in your group do not require any previous experience in singing as your choir master will be skilled at teaching different levels of ability including absolute beginners. 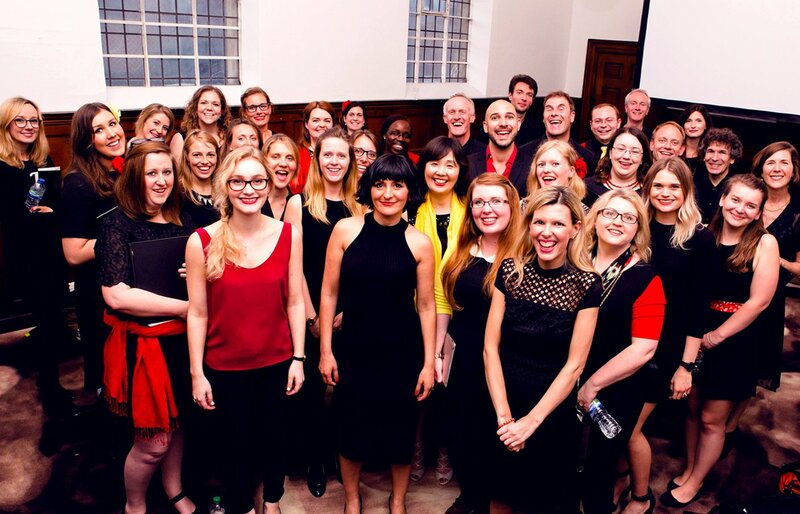 Choir lessons can be scheduled to suit the requirements of your group and can be held in-house at your office or at one of our partner venues across central London. Ideal group size for a choir is between 20 and 60 people.